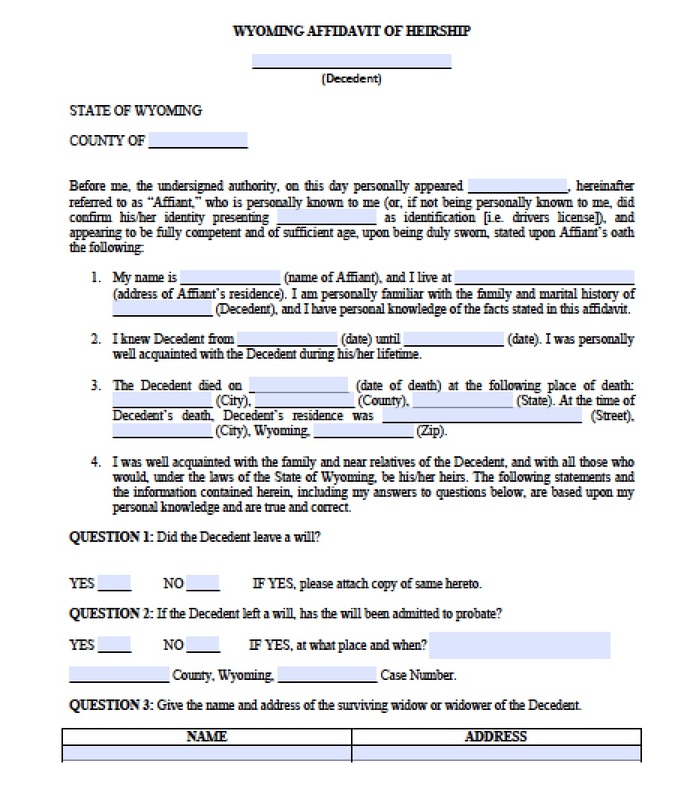 If a loved one passes away in Wyoming without a last will and testament, then the grieving heirs may file the small estate affidavit to claim real estate property owned by the decedent. 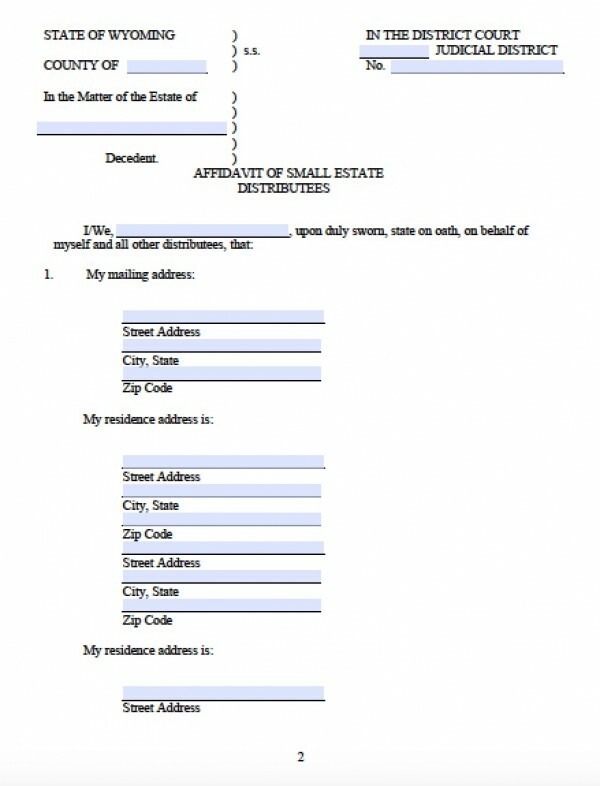 This property may not value more than $200,000, less liens and encumbrances. The interested parties must wait at least 30 days after the decedent passes before filing, per Wyo. Stat. § 2-1-201.